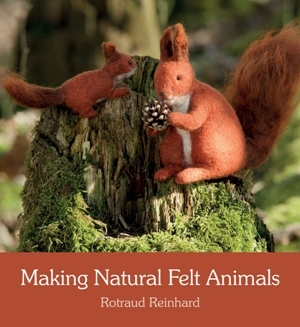 From lazy cats to jumping squirrels, tiny mice to majestic deer, this richly illustrated book offers step-by-step instructions to help you create more than 25 different animals using the unique 'building-up' felting method. Many animals can be made in several stances and sizes to fit different nature scenes. There are tips and instructions at the end of the book for adding finishing touches and caring for your projects after they are completed. Whether individually or in a seasonal tableau, these natural-looking animals will enrich any home or classroom.